Despite your best efforts to keep your senior mom or dad at home and maintaining their independence, sometimes, such as after a fall, stroke or major illness, it becomes absolutely necessary to transition them to a nursing home for further care. Anyone who has ever had to move their parents to a nursing home knows that the transition can be exhausting and emotionally draining. You may find that your loved one doesn’t understand why they are being placed in a nursing home – especially after enjoying homecare. Both you and your parent will need time to adjust, and don’t be afraid to lean on the nursing home staff for support. They are there to help make the transition easier. Granted, it won’t be easy, but they can help make sure the bad days don’t last too long. The following is a guide to help you understand what you can expect as you transition your senior parent from homecare to a nursing home. Knowing what to expect can help both you and your loved one feel more at home and at ease. Day One Although this will undoubtedly be the hardest day, it’s important to know that your senior will have good and bad days down the road. 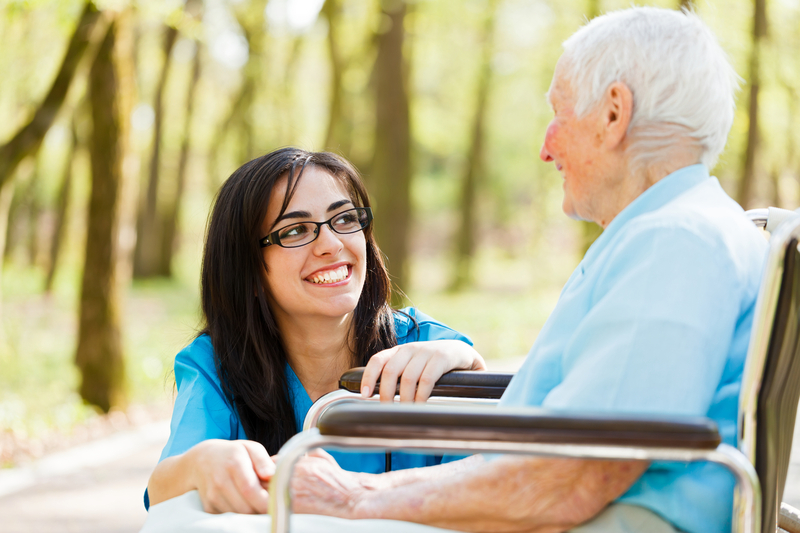 The transition from homecare to nursing home care can be physically taxing on everything. The first day is a tough one, but understand that there are happy days just around the corner. Yes, even though it may not seem like it at the moment! Because your loved one, up until this point, has been used to having one-on-one care with their at home caregiver, they may feel as though they are being ignored at the nursing home. Rest assured, this is probably not the case. They are simply not used to having to wait for a nurse to come to them or be one of several other patients. The First Week Both you and your loved one may feel confused and upset. This is completely normal as you both are getting used to a new routine, new people, new doctors and nurses, and overall, a new way of life. Let the staff help you both adjust. They are trained professionals who have seen your same situation hundreds of times – in fact, every single day! If you are not sure who to ask for help, or your mom or dad doesn’t feel comfortable within the first week, speak with a social worker. They can be an excellent point of contact. It’s okay if your loved one makes negative comments about their situation. In fact, that might be all they do for a while! They may tell you they want to go home. Try not to get upset and instead, talk to them and listen to their concerns. Chances are, they are just having a hard time adjusting to the change and there isn’t a major issue other than that things are different. If possible, try to have your loved one find a nurse or staff member they really connect with at the nursing home. This person can be their buddy and confidant and make them feel like they have an ally at the nursing home. Similarly, you will be able to talk to this person and they can share feedback on how your parent is doing. During the first week, both you and your senior parent will get a better idea of the routines of the facility. Everything from meal times to activities will soon become familiar. You may find it helpful to keep track of your parent’s schedule so you know the best times to call and visit. Don’t worry if you start to wonder if you are calling too much or visiting too soon. Feel free to call and visit as much as you like. Trust your gut and do what you feel is right. There really is no right or wrong way for a smooth transition. The best thing you can do is let your mom or dad know you are available for them and you are doing the best possible thing for them to stay healthy and safe. If you want to check on your loved one without actually talking to them (in case they are not talking to you, or you don’t want to disturb them) you can call the care center and ask to speak to a nurse. They will happily give you an update on how things are going with your parent. The First Month As the weeks go by, you may find the first month just becomes a blur. After a few difficult weeks, you’ll soon become familiar with the staff and your loved one will start to fall into a routine. Although you may continue to second guess yourself, even after a month, remember that you made the transition for a reason. If your parent had a difficult fall, stroke or illness, and cannot live independently anymore – even with homecare – then you made the best decision. There will always be bad days, but because your parent is in a safe environment, there will be many more good days. The transition from Homecare to a Nursing Home is never easy. But the more you can make your loved one feel a part of the decision and understand why they needed to make the move, the transition will be much easier. While it may not feel like it at first, eventually they will become used to the routines at the Nursing Home and be grateful for the loving, safe, and healing environment in which they reside. If you have a Home Care Agency or Nursing Home and are ready to reach your prospective patients and their families during one of the most vulnerable times in their lives, then SSMPAS.com is for you. Everyone from patients and families to you and your business will benefit. Plus, Assisted Living Facilities and Homecare Agencies that advertise with us get their own webpage. Even before you sign up you can see that we are significantly worth it because you get so much more with us.